CapoVelo.com | Why Doesn’t the Fastest Cyclist Win the Tour de France? CapoVelo.com - | Why Doesn’t the Fastest Cyclist Win the Tour de France? The Tour de France rolled to its conclusion on Sunday in Paris, with Chris Froome taking the victory by a commanding margin over his rivals. The rider who completes the entire 3,360-kilometer (2,087-mile) course the fastest captures the Tour’s famed “yellow jersey.” But Froome was not the fastest cyclist in the race. That title belongs to Slovak Peter Sagan, who won the green jersey as the race’s sprinting champion. Sagan, however, finished more than an hour behind Froome in the overall standings. In fact, out of the 198 cyclists who started the Tour on July 4, only five or six had any real chance of vying for the yellow jersey. The Tour is a three-week race that runs along the open roads of France and Western Europe in June and July. Organizers invite professional teams of nine riders to compete. The competition is broken into around 20 sections, called stages, each of which is ridden on a different day and to a different town. The stages vary – there are flatland races, mountain climbs and time trials – and each requires different cycling skills and tactics. The most important strategic reality is that even the speediest cyclist riding alone can’t pedal as fast as a group of cyclists. This is due to the aerodynamic and manpower advantages of riding in a group. Most competitors – even the top stars – spend nearly the whole race in the “peloton,” or main pack, to lessen wind resistance, minimize pedaling effort and conserve enough energy to finish the Tour. The peloton moves very fast for long periods of time. In 2005, for example, the individual one-hour world speed record was 49.7 kilometers (30.9 miles) in an hour, set by Czech rider Ondřej Sosenka. That same year, the Tour peloton’s speed averaged between 45.1 and 48.6 kilometers per hour for eight entire race days. Given the physics of the peloton, no solo rider can drop the rest of the field unless something unusual happens. To win the Tour, a rider must separate himself from the peloton and his rivals to win a time advantage – and then employ clever tactics to conserve his lead. This is where teamwork is critical. A contender can’t triumph unless he surrounds himself with talented support cyclists. 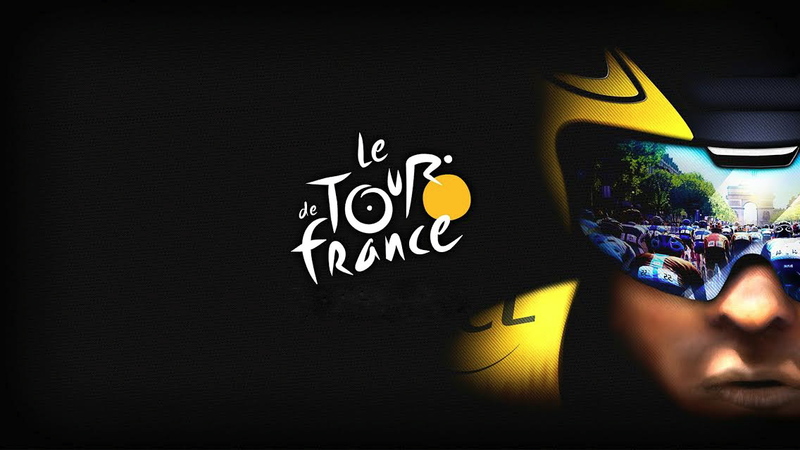 Each team designates one rider – the team leader – as its sole contender for the yellow jersey. The other riders pledge to be the team leader’s “domestiques,” or servant riders, and abandon their individual hopes for the yellow jersey. Domestiques serve a number of roles. On the flats, the team captain sits in his domestiques’ slipstreams to conserve energy, while during mountain climbs, domestiques pace the leader and bring him food and drink. They might help a contender break away from the peloton, set a fast pedaling cadence that saps adversaries’ strength or disrupt the coordinated strategies of rival teams. Two riders draft off each other to stay ahead of the peloton as they lead the La Rochelle-Nantes stage in the 1935 Tour de France. Terrain also matters. Flatland racing dominates the first week, and teams unleash their sprinting specialists to win these stages. Speed demons like Sagan, German Andre Greipel and Manx Mark Cavendish accelerate away from the peloton in the slipstreams of domestiques in the final kilometers of such stages. Sprinters vault past their lead-out riders – who are often specialist sprinting domestiques – in the final meters, attain speeds of up to 70 kph (44 mph) as they cross the finish line and rise to the top of the overall standings. But the sprinters’ big, powerful bodies aren’t made to contest the mountain climbs and time trials, which loom in the final two weeks. These mountains forge or destroy potential Tour champions. Team leaders may have strong-climbing domestiques pace them up mountains. Nevertheless, they must do all the work of traversing the Alps and Pyrenees themselves. When a leader “cracks,” or exhausts himself and can’t ascend quickly, he can lose a lot of time to his rivals. This year Vincenzo Nibali, a talented climber and the 2014 Tour champion, cracked so badly on the Pyrenean slopes that his Astana team considered promoting his climbing domestique, Jacob Foglsang, to team captain. Many competitors quit the Tour due to injury, exhaustion or simply because they can’t stomach the suffering required to endure the race. By Stage 18 of this year’s race, 18% of the field had dropped out. In some past Tours, up to half the riders have tapped out before the finish. Sprinters are particularly prone to abandon. Italian Mario Cipollini, one of the sport’s greatest sprinters, was infamous for retiring to his hotel at the first sign of mountains. The Tour stopped inviting him. Most sprinters brave the mountains but climb as slowly as possible to save their strength. Often, they can be found in the grupetto, a large group of poor climbers who pedal only fast enough to avoid being eliminated from the Tour for exceeding the maximum time limits. A grupetto on the Alpe d’Huez, during the 2001 Tour de France. The Tour exists to generate publicity. The organizers boast of (and probably exaggerate) a global television audience of four billion viewers and claim that the Tour is the third-biggest televised sporting spectacle on Earth, behind only the Men’s World Cup and the Olympics. Since the race’s beginnings in 1903, the richest teams have monopolized the best cyclists in order to maximize their star riders’ chances of victory and media exposure. Teams bring sprinters to the Tour for the sole reason that great glory – and marketing possibilities – come with their exploits. The Tour’s green jersey will be awarded on Sunday to the top overall sprinter and is one of cycling’s most coveted prizes. The publicity functions of the Tour shape the way the race plays out. Before the 1961 Tour, 1958 winner Charley Gaul of Luxembourg complained to reporters that French star Jacques Anquetil hoarded all the top domestiques, leaving the other contenders with nothing but the dregs. Anquetil won that year by a gigantic 12-minute margin. His sponsor, distiller Saint-Raphaël, paid big salaries to a dominant team that helped Anquetil win a record five Tours by 1964. More recently, Lance Armstrong leveraged his sponsors’ deep pockets to hire the world’s best corral of domestiques. His powerful team – not to mention his infamous doping regimen – made him nearly unbeatable in seven consecutive Tours between 1999 and 2005. This year’s “super domestique” is Australian Richie Porte, who could contend for the yellow jersey if he weren’t serving Chris Froome. In an astounding athletic display, Porte paced Froome on the final mountain climb in Stage 10 in the Pyrenees and helped his captain launch a devastating, uphill breakaway attack that won the stage and destroyed his rivals. Richie Porte paces teammates Geraint Thomas and Chris Froome in the French Pyrenees mountains. In another year, Porte could contend for the yellow jersey. Porte dropped back as his team leader attacked, but then caught a second wind, climbed past a contender who was chasing Froome and – despite being punched in the ribs by a spectator – took second place for the day. Cynics argue that promotion trumps true competition on the Tour. French scholar and Tour critic Jacques Calvet complained in his 1981 book that road cycling’s heroic canon of suffering, survival and triumph is just “myth” – that cyclists sprint away from the peloton in the final kilometers of stages solely to get their sponsors’ logo-laden jerseys on television. Calvet’s claim is debatable, but it’s absolutely certain that no sprinter will win the Tour de France this – or any – year. Eric Reed is Professor of History at Western Kentucky University.